The trend of glamping has caught on like wildfire. Especially among the new generation of campers who prefer luxury over rustic. In case you’re not in the know — glamping is what you get when you combine the words glamorous and camping. 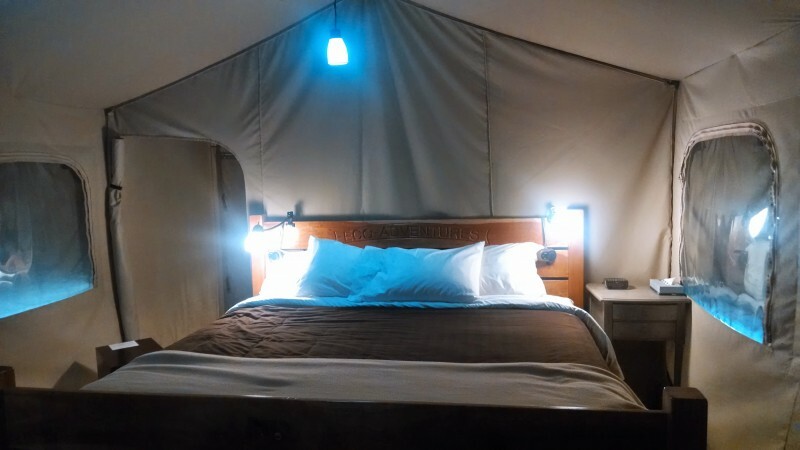 It evokes images of camping in the great outdoors, but with WiFi, comfy beds, gourmet meals, and often a structure a bit more sheik than your run of the mill stuff sack tent. If you want to experience the great outdoors in comfort, you’re in luck. 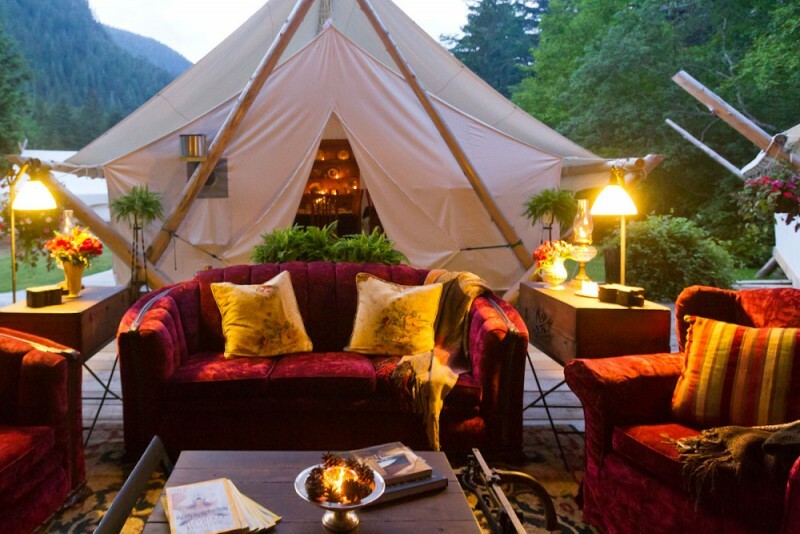 Sit back, relax, and check out 7 of the most impressive places to go glamping in Canada. For starters, rates at this luxurious glamping resort begin at a whopping $5,000. The price tag alone should give you an idea of what Clayoquot has to offer. A visit to this resort promises to be a memorable experience. Bask in the stunning beauty of the Canadian wilderness while enjoying their world class spa services, five star cuisine, and more. And yes — they even have WiFi. Their luxury tents are fully stocked like a hotel room, but better. In addition to soft furniture and cozy linens, you will be treated to a stack of interesting books to read and micro-fleece bathrobes. The owners of the resort are committed to the environment which means you can feel good about your glamorous accommodations. This glampsite is located just a short hour and a half drive from Montreal. 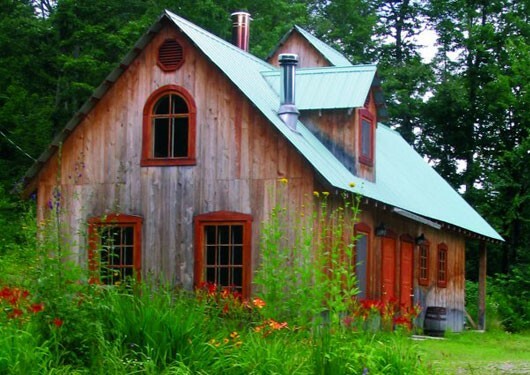 Accommodations include 11 ecoshelters that are guaranteed to connect you with Mother Nature. But this doesn’t mean that you will have to sacrifice the luxuries that you love. Enjoy the beautiful mountainside and the many outdoor activities that they offer. Are you a free spirit? If so, you will love this glamping location. Imagine if you will a wooden sphere hovering above the ground amid a private forest canopy that is both magical and luxurious. 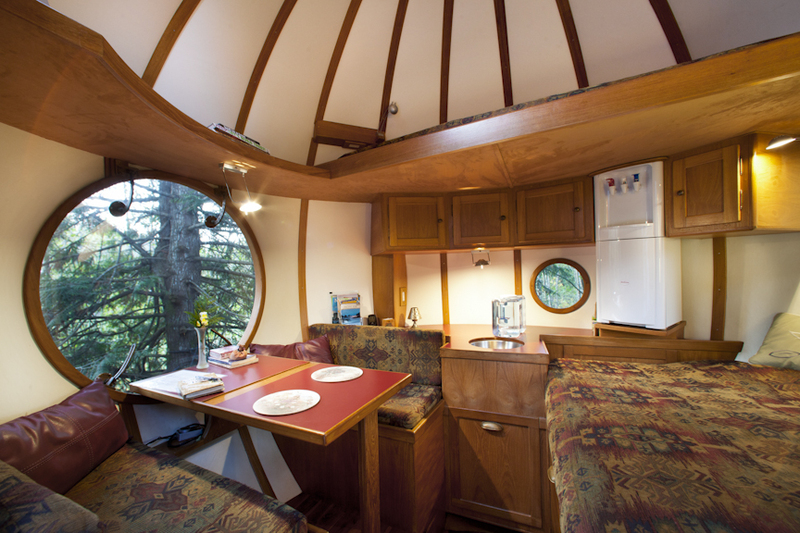 The Free Spirit Spheres is wired for electricity (so you can keep all you devices charged), and contain a small kitchenette, comfy bed, eating nook, and more. Located on Vancouver Island, near Qualicum Bay, this resort is the perfect place to escape and enjoy a night in the trees. The Wilderness Suites are excellent if you want to experience Ontario’s wilderness in comfort. Spend your days mountain biking, zip-lining, and kayak fishing. When you are tuckered out, retire to your room in complete luxury. Enjoy the private deck, mini fridge, electricity, hardwood floors, and hot showers. This resort is the perfect mix of pleasure and adventure. The drive to this resort isn’t glamorous and will take you through the plains of Saskatchewan. But once you are arrive at Flora Bora, you’ll be happy you made the trek. 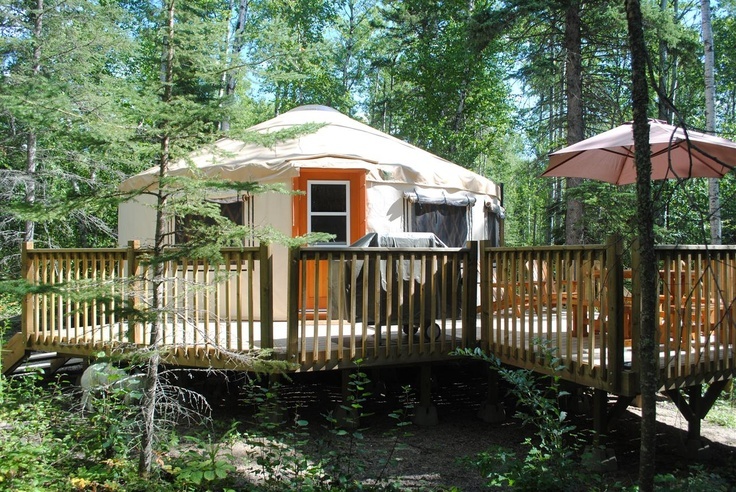 They offer fully equipped yurts complete with kitchenette, private bathroom, and a deck. This paradise also offers beautiful gardens and stunning natural trails for your enjoyment. Have you ever wanted to go camping in a teepee? If so, you will be thrilled when you visit Sundance Lodges in Alberta. The campground offers luxury teepees with wooden floors, foam mattresses, a heater, and kerosene lanterns. 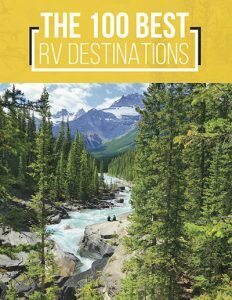 As an added bonus, the exquisite views of the stunning Rocky Mountains will be your backdrop and the Kananaskis River is only a few steps away. If you have your own location in mind, have no fear. 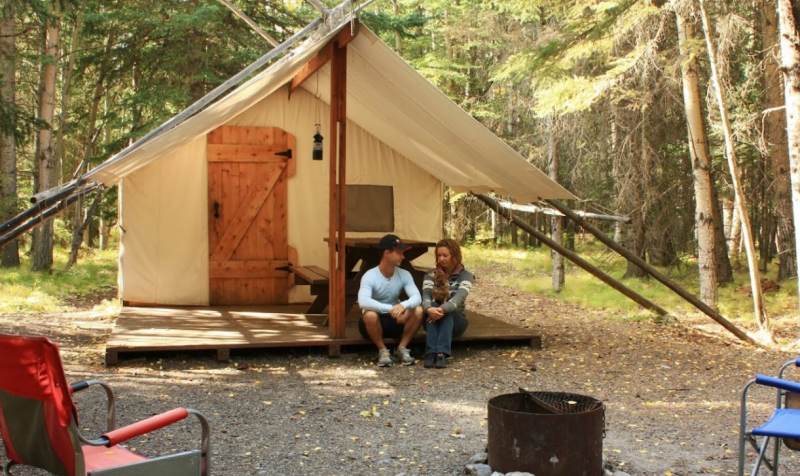 There are tons of campgrounds and parks in Canada that will let you stay in an oTENTik cabin-tent hybrid. This luxurious hybrid can accommodate up to six people. Amenities include hardwood floors, shelter from the elements, and an outdoor patio. For a full listing of where you can find oTENTiks click here. 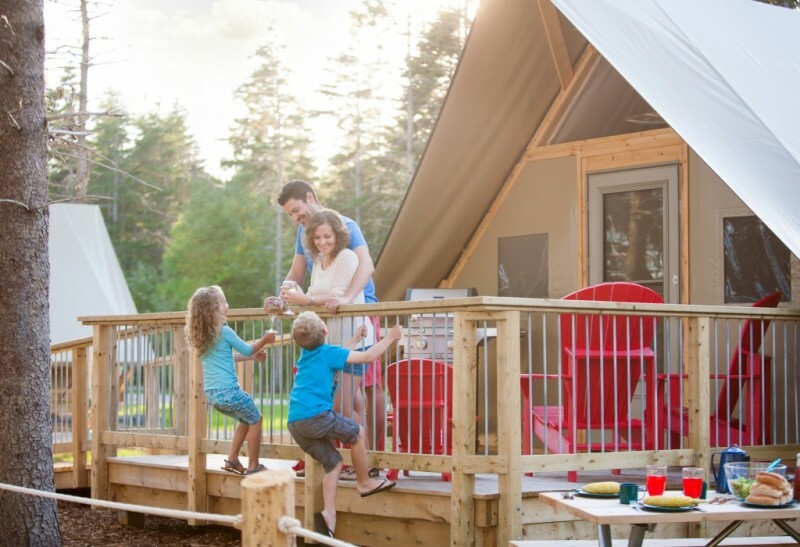 Now that you have an idea of the glampsites that Canada has to offer, which one sounds best to you? Leave your answers and remarks in the comment section. Happy Glamping!